Barn owl and kestrel: the bird species top of the farmland food chain. The barn owl is the ghost-like, white owl of country folklore. The upperparts are pale orange-buff with white underparts. The bird is often seen hunting the fields and hedgerows during the last light of the day. Barn owls are found in lowland areas where there is suitable habitat, especially rough, tussocky grass-land with an abundance of small mammals. Barn owls feed mainly on small mammals such as rats, mice, voles and shrews. The presence of barn owls is a good indicator of the health of biodiversity in lowland areas, as the range of habitats needed by the species is also vital for a wide range of other animals and plants. The barn owl nests and roosts in tree cavities, old and derelict farm buildings. Nest boxes are also used by barn owls both in buildings and outside. The 4–6 eggs are incubated for 30 days. Young birds fly after 50 days but are dependent on the parents for food for a further 3–5 weeks. Kestrels are most often seen singly, hunting during the day, with a characteristic hovering flight. The kestrel is a small bird of prey, brown or reddish-brown in colour, with long wings and a long tail. Kestrel is found in a variety of habitats, including urban areas, but is most numerous in areas of rough grassland where small mammals can be found. Embankments and verges along motorways and other roads are frequently used as hunting sites. Voles are by far the most important food for kestrels, although they regularly take other small mammals such as mice and shrews, small birds, insects and earthworms. Kestrels do not build a nest but use holes in trees, buildings, old crow nests and nest boxes, if they are provided. The 4 – 6 eggs, which are laid in a shallow scrape, take about 30 days to hatch, with the young flying some 30 days later. The decline of kestrel is typical of species that depend on grassland which provides small mammals as food. The loss of this habitat, along with the loss of nest sites, has caused the decline. During early 2006 and 2007 twelve individual dual type nest boxes were put up on various landholdings where both species would be sustainable in being able to breed and find food within that habitat. A contractor from the Midlands, who is experienced in this work, was appointed to come to Barnsley on two separate occasions to bring and fit these boxes. Boxes were fitted onto old telegraph poles and a hired boring machine dug the hole for the poles to slot in. On the finished job, each box was around 5 metres high and enough to make it difficult for people to climb to. Both Barn Owl and Kestrel do not build a nest so for early success it was important to provide nest material for inside the boxes in the form of chip bark and sawdust. During the early part of the year it was evident that at least half of the boxes had been used by wintering Barn Owl which was encouraging. During the breeding season four boxes were occupied by Barn Owl, four boxes by Kestrel and one box had both species using it at the same time – nine boxes in total. The Barn Owl was in the main, lower part and the Kestrel in the apex-roof top. Again, during the early part of the year around half of the boxes were being used by wintering Barn Owl. In the breeding season three boxes were occupied by Barn Owl, six boxes by Kestrel and one box by Little Owl. From these there were two boxes which were shared by both Barn Owl and Kestrel – nine boxes in total. A fourth pair of Barn Owl was lost early in the breeding season when one of the pair was found dead as an unfortunate road casualty. This success is encouraging and proves that both Barn Owl and Kestrel are in need of breeding sites as many original sites have now been lost. Buildings have been improved and in some cases converted into dwellings and old, hedgerow trees with holes are few and far between. Severe winters during this period caused a huge decline in the Barn Owl population. 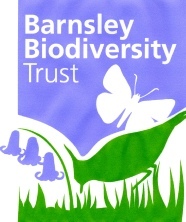 Use Barnsley Bird Study Group’s Breeding Survey to assess the population of Barn Owl and Kestrel (2012). Continue to record the population of breeding Barn Owls. Encourage landowners to take up a Stewardship Schemes that may benefit Barn Owl and Kestrel (Natural England lead). Give talks to the farming community and other groups on the needs of farmland birds. Include habitat and species protection policies in development plans. 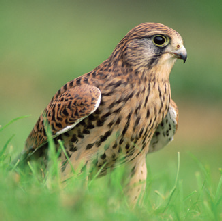 Protect areas of rough grassland for Barn Owl and Kestrel prey species, particularly near nest sites. 3. 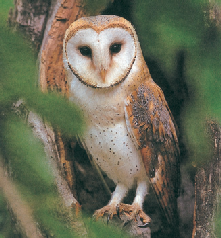 Promote awareness of the legal protection afforded to Barn Owls among landowners, planning officers, and contractors. 4. When assessing applications for the conversion of old or derelict agricultural buildings, ensure that they will not result in damage to Barn Owl nest and roost sites and adjacent habitats (consult Natural England). 5. Encourage the use of Barn Owl and Kestrel nest boxes, both in new buildings and in the renovation of existing structures. 6. Give advice on farm building conversions where Barn Owls may be present particularly at the planning application stage. 7. Encourage land management suitable to Barn Owls throughout the borough, especially between breeding sites and along river corridors.